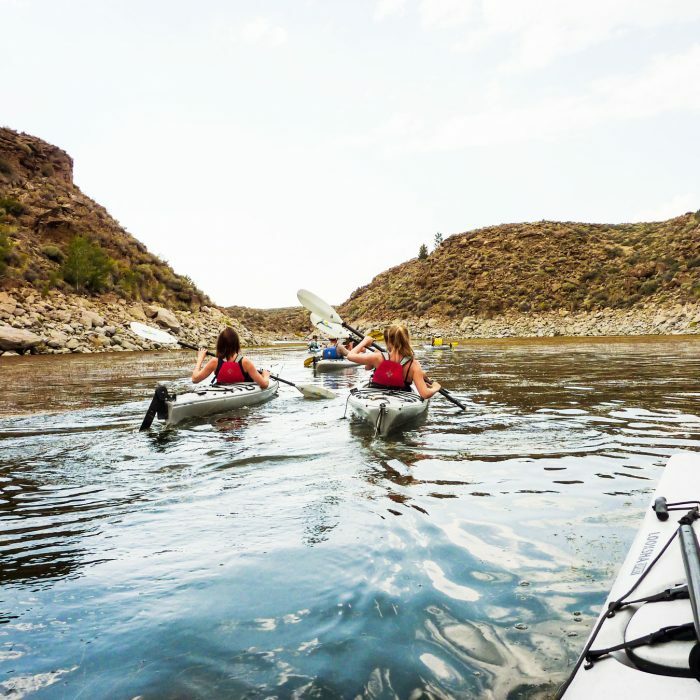 Caldera Kayaks tours are ideal for people that enjoy the outdoors and would like an enriching, educational experience in the places they visit. Our tours cover the natural history and local geology of the lakes so you will leave with a better understanding of the area you just explored. The bird life on the lakes is great so whether you are an experienced birder or just enjoy checking out birds we point out and describe interesting species. You will leave feeling refreshed and invigorated. 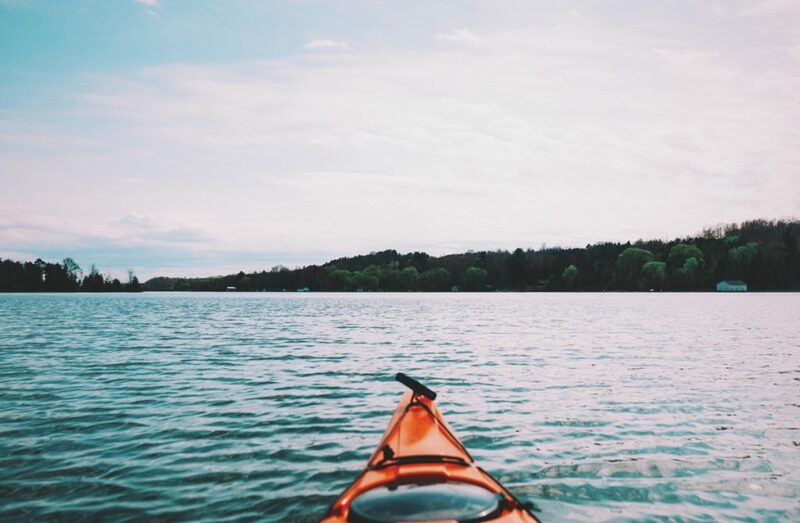 Our high-quality kayak rentals are ideal for both the experienced paddler or for the individuals that prefer to explore on their own. Lake front rentals at Lake Crowley make it very easy to paddle for a couple of hours and explore the varied shoreline. Caldera Kayaks is owned and operated by longtime residents Stuart Wilkinson and Susan Johnston, passionate paddlers that know the area lakes well. 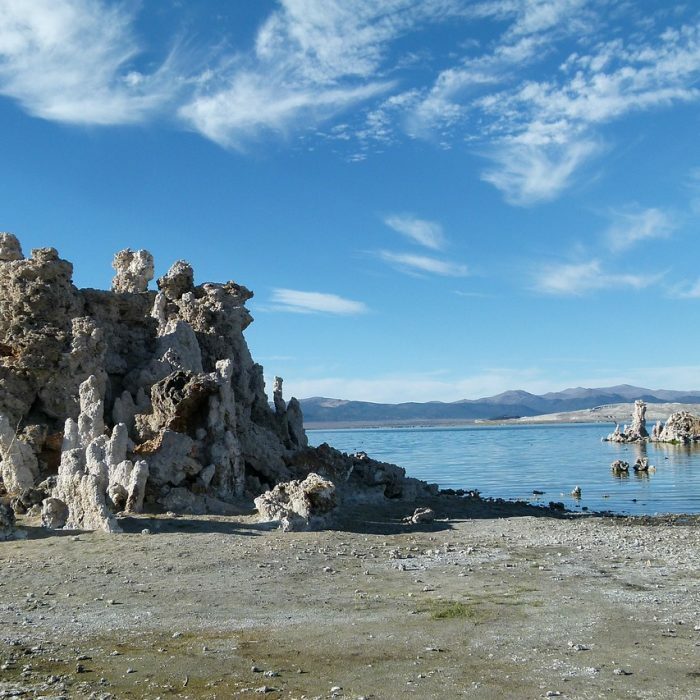 With over 20 years experience on Mono Lake and Lake Crowley they have an immense amount of local knowledge about the natural history and weather patterns on area lakes. With a background in geology, Stuart is a great source of information on local geography. Sue is great with clients of all ages and backgrounds and can explain the natural history and bird life in an easy to understand language. Our guests often ask if Sue has a background in education as her explanations are very easy to understand. In the off season, Stuart and Sue enjoy long distance kayak tours in the Sea of Cortez in Baja California, Costa Rica and Chile. These tours give us additional experience on the water that increases your experience on your tour with us. Our goal is to give you an enjoyable and relaxing time on the water. We make it fun and interesting for all ages.